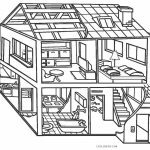 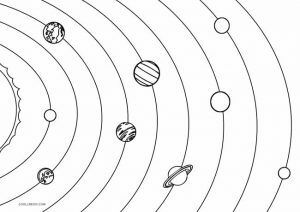 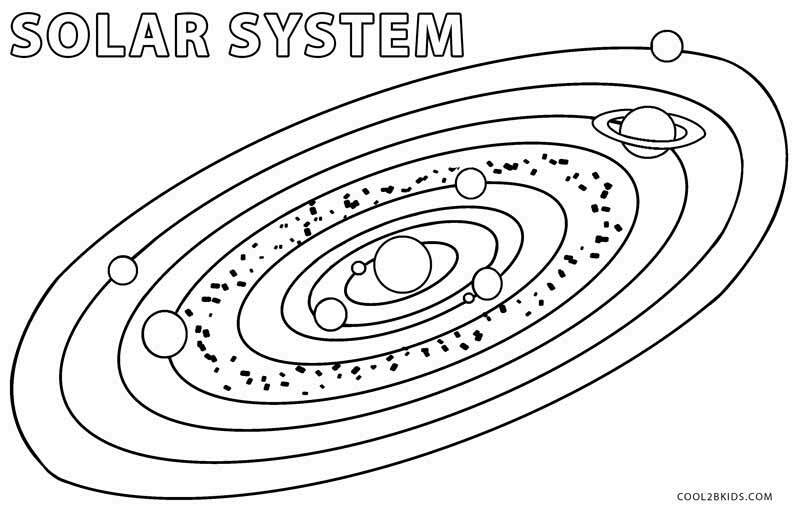 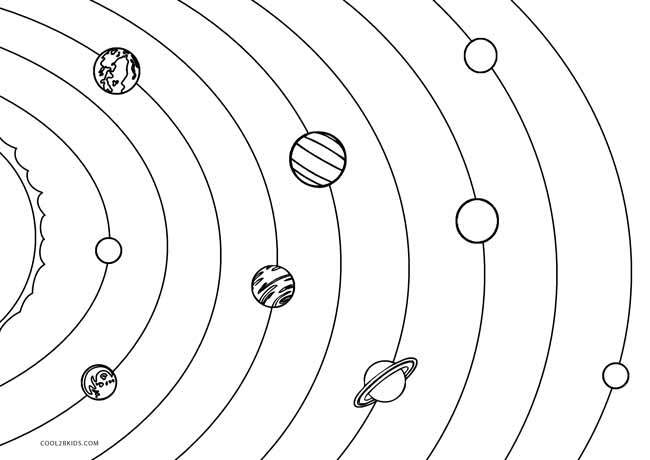 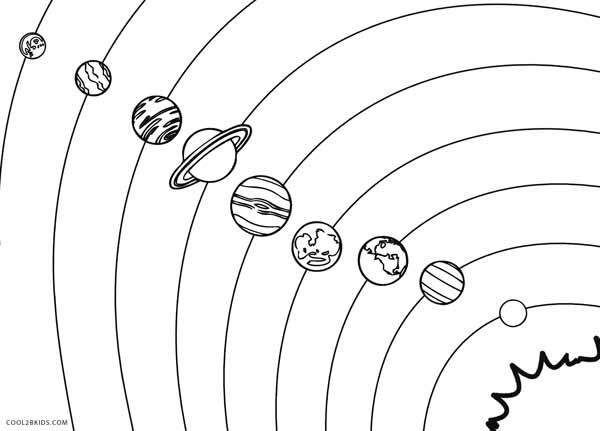 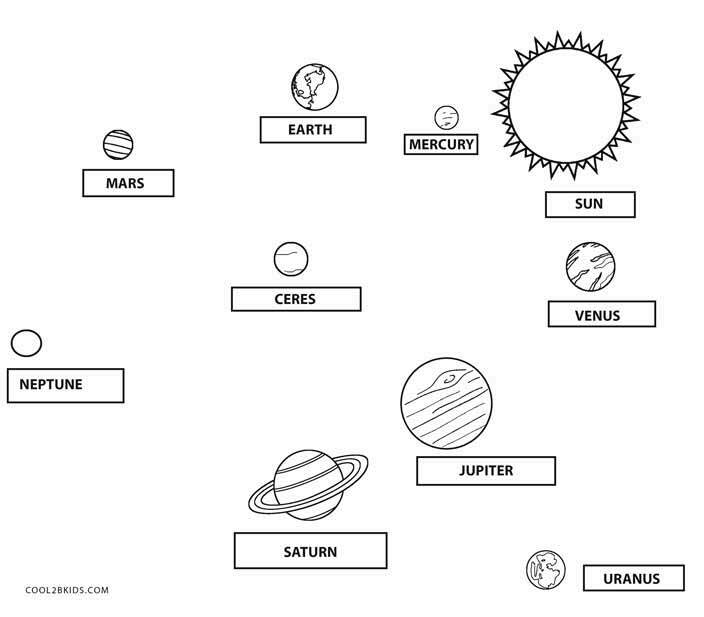 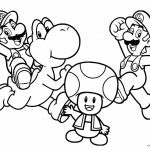 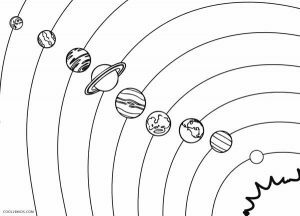 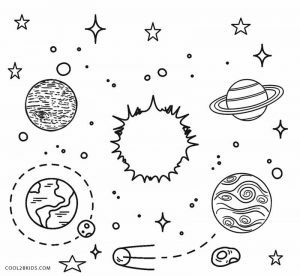 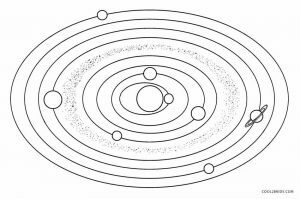 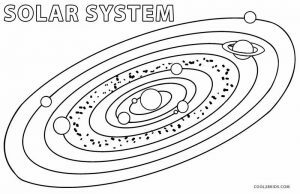 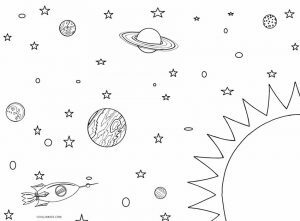 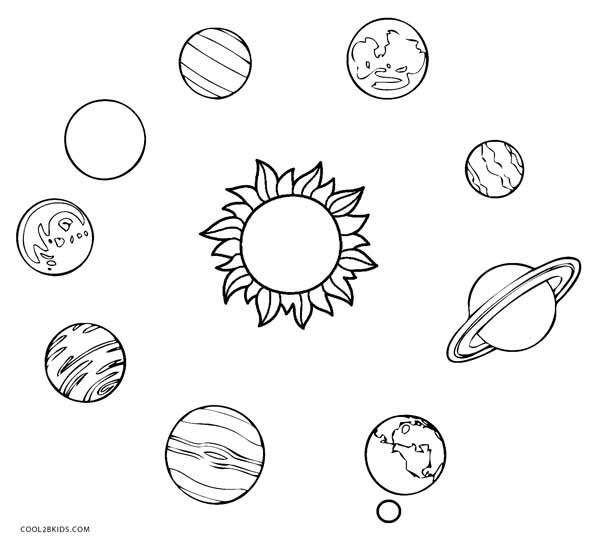 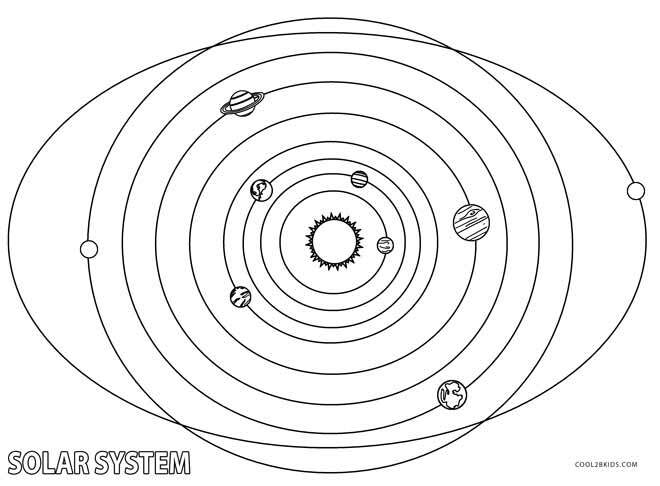 Explore the celestial world with our free and unique solar system coloring pages. 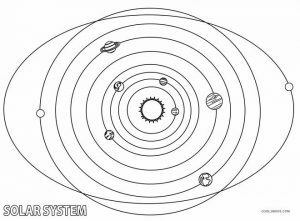 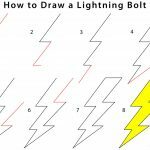 It gives a detailed diagrammatic representation of the system that our Earth is a part of thereby providing ample opportunity for little children to learn about the 9 rather 8 planets. 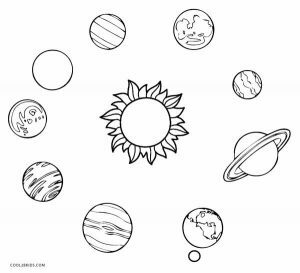 The printable pages also depict the physical structure of the planets, the elliptical orbits, the rings of the Saturn and also the moon. 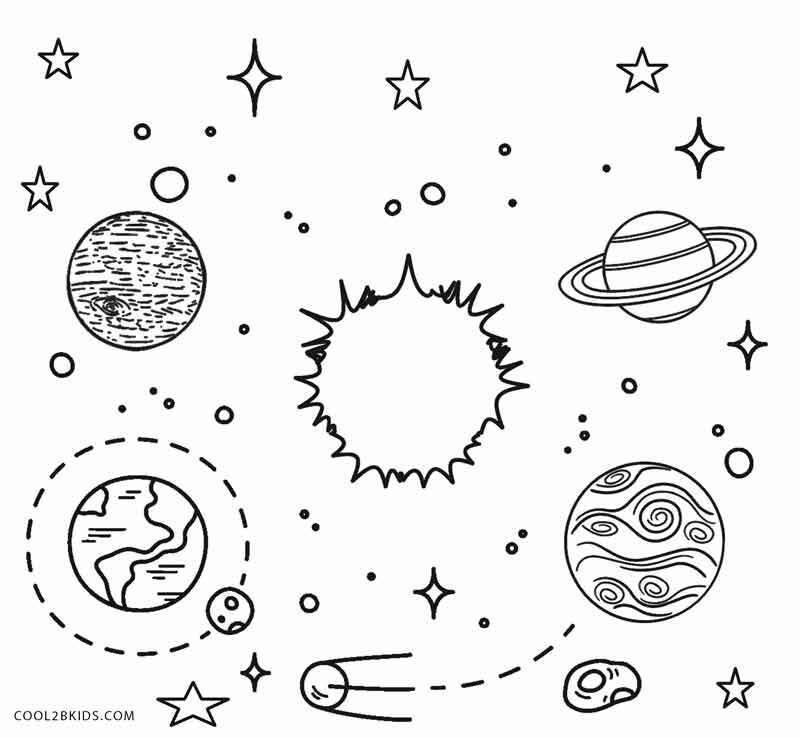 Giving meaningful information about the color of the planets and the reason behind it could help to boost their knowledge of astronomy. 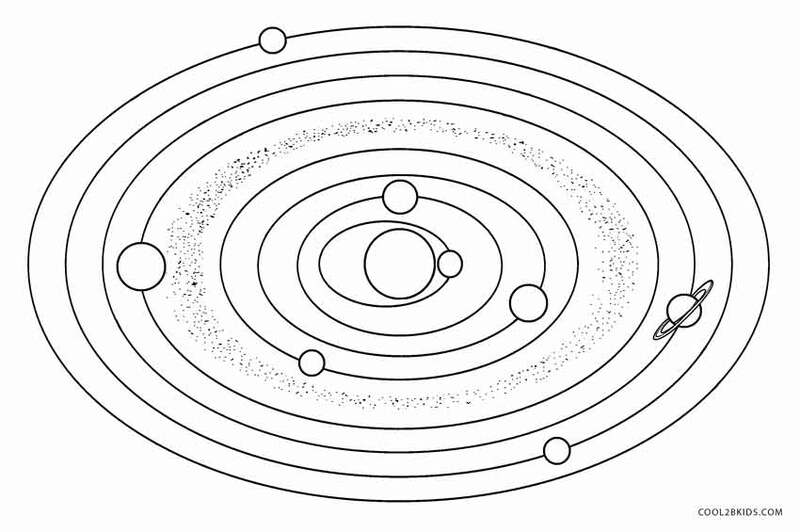 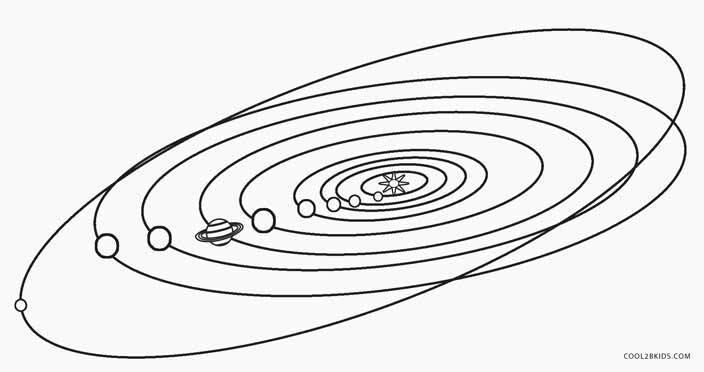 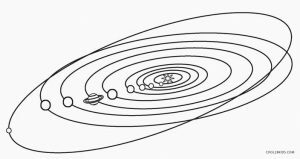 The ring of asteroids roughly between the orbits of Mars and Jupiter make the sketches complete. 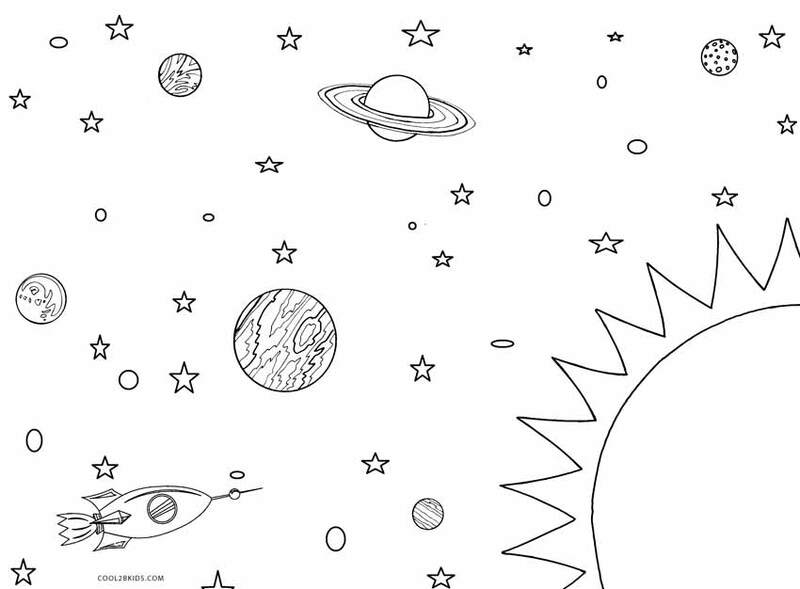 The “twinkle twinkle little stars” and the speeding spaceships are going to bring a smile to the faces of the kiddos. 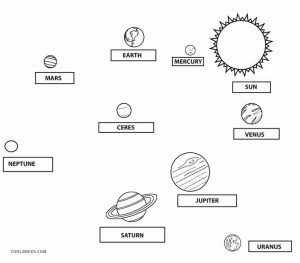 We also have the names written beside each planet to aid the learning process.